Tea Happiness- A blog on tea drinking, tea history, tea industry interviews, NYC tea experiences! 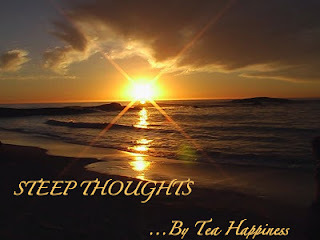 : Steep Thoughts- Pavlovian Response to Tea? Steep Thoughts- Pavlovian Response to Tea? I just read this article from The Atlantic, discussing the euphoric effects of beer created just by one sip. The knowledge that we are drinking beer, and the anticipation of the effect, causes a conditioned response from our brain. It got me thinking- as tea lovers, does the calming effects of tea begin with the first taste? Often, just the preparation of tea will soothe me. Listening to the water heat up, and the sound of water gently pouring into the pot. It could be a Pavlovian response conditioned through years of drinking tea and feeling the peaceful effects. If you're new to the work of Pavlov, you can read about it here. Our bodies anticipate the effects of alcohol by a conditioned response, like Pavlov's dogs. Our brains start to release euphoric signals in response to the taste of beer, even before alcohol even gets into our blood, because we seem to know what's coming. What do you think? Have we conditioned ourselves to anticipate the feeling of serenity (or in some cases revitalization) of tea at the first sip? It definitely seems likely.